So, I’m from Texas. If you set out a bowl of fresh guacamole and some chips, it will be gone before you can say “I love being next to Mexico.” If you don’t have chips, a few spoons will suffice. I could live on avocados. It never occurred to me until recently that someone might not know how easy it is to make guacamole. Listen up, world: IT’S EASY! Can’t boil water? That’s ok. Go grab some avocados. Do you know why it’s so easy? Because it pretty much doesn’t matter what you put in it. I have never once looked at a guac recipe, nor have I ever made it the exact same way twice. Measurements? Are you kidding? This is definitely a taste-as-you-go dish. It’s done when it tastes perfect. And “perfect” is entirely up to you. Side note: I’m on vacation in Colorado right now, so these are old pictures. I’m sorry that hiking in the wilderness and riding horses through the mountains is keeping me from giving you better pictures. But not really. Whatever you want, as long as it starts with avocados! But here’s what I used that time. I’m only giving ingredients, not measurements, so when it says “onion” for example, it doesn’t mean you need a whole onion! You can use whatever you want, though. It’s almost pointless to write instructions. Dump all the ingredients into a bowl. 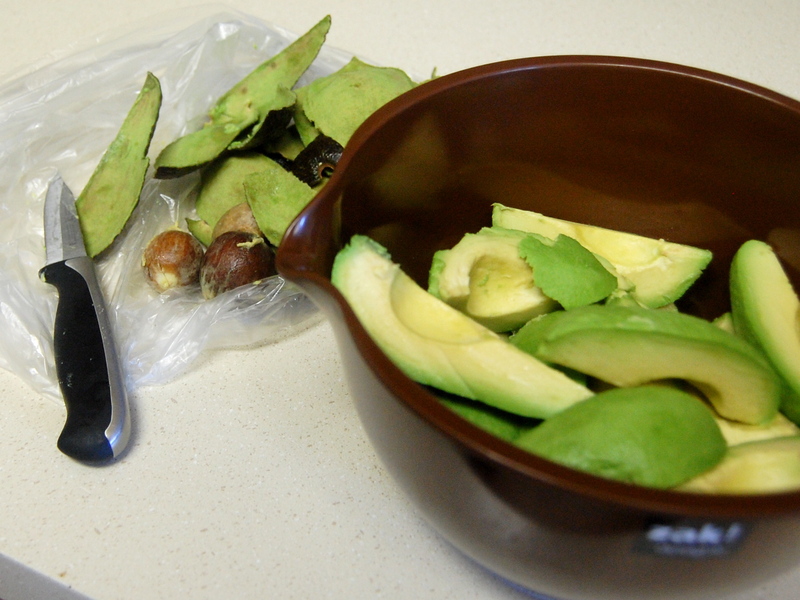 Stab the avocados A LOT with a fork or knife to break them down, especially if they’re not very soft. Mash everything together with a fork. Taste. Season some more. Taste. 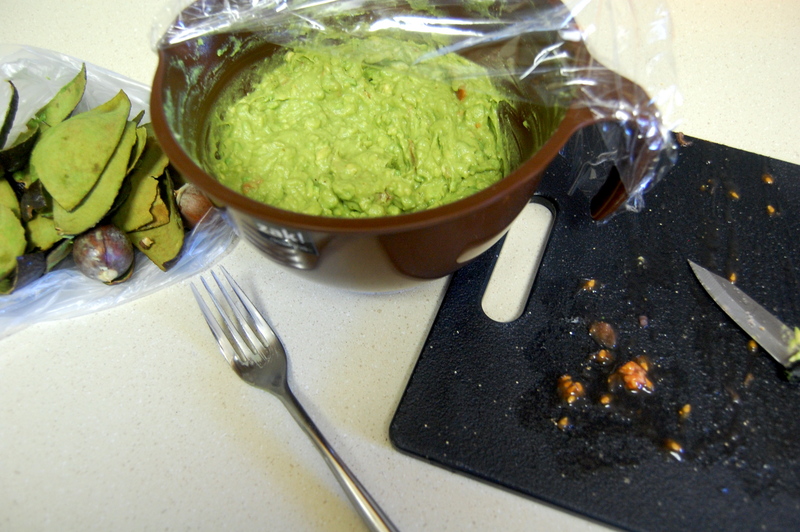 Cover it with plastic wrap and store in the refrigerator, but gently press the plastic wrap directly onto the surface of the guacamole to keep it from getting brown. What do you put in your guacamole? 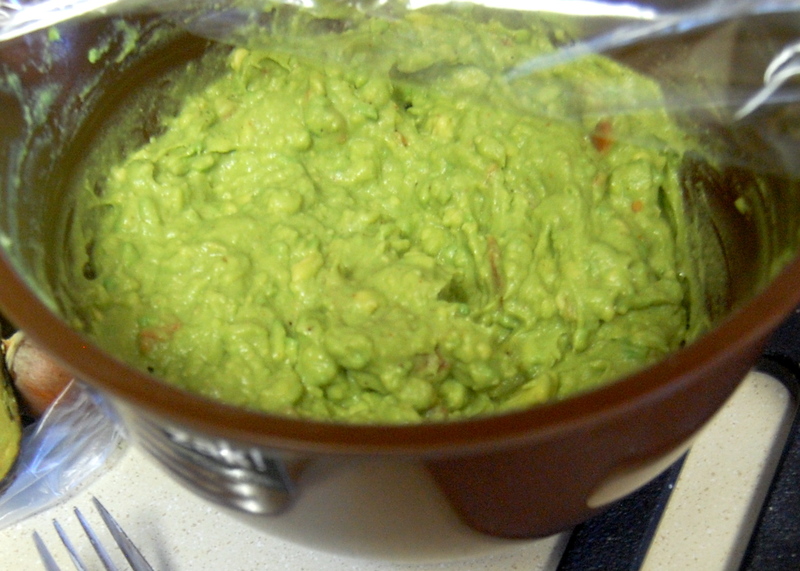 I love guacamole and it is so easy to make. I don’t understand why people buy the packaged kind you find in refrigerator cases…it is so full of chemicals. This from a transplanted Texan living in New England. I completely agree. The packaged stuff is good in a pinch if you can’t find good avocados anywhere, but the real stuff is WAY better. Thanks for stopping by! I like getting out my potato masher instead of trying to mash it with fork.